sites ⋆ 100% Private Proxies - Fast, Anonymous, Quality, Unlimited USA Private Proxy! @sven – how about an option to submit to related sites first based on keywords we input. Once it goes through the related sites it can then start submitting to the other non-related websites. Browser can not access client’s RAM-CPU-HARD DRIVE-WEB CAMERA-And other resources of client’s machine. So how some web sites do mining using client’s cpu? Are they scam or they are real? Thank you for your interest in my guest posting gig. Features & Benefits: As you know, Backlink from the trustworthy sites, with HQ metrics will surely help your site in improving your backlinks profile and help in achieving the good rankings. Also, the well researched, unique and quality written article can rank on Google results and help you in getting referral visitors. Features: Thematic; Contextual; 100% Manual; Link type: DoFollow. I Will Write 5 Unique 350+ Word Article Domain Metrics:- 1) Domain Rating (DR)- from 75 to 95 (Ahrefs). 2) Daily Visitors: 150,985 3) High Traffic Domain, Boost Your Site Ranking Note: Adult, gambling, dating, pharmacy related websites are not allowed for this gig; Please contact me before placing an order. Thank you! This script is my web crawlerfor small sites. Can you possibly review it for best coding practices? I am here today to ask you : how do you retrieve all sites on your tenant by using Pnp (formerly known as pnp-js) ? Or even using CSOM. I am trying to create a webpart where, in the PropertyPane, the user will be able to search and select the sites on which (s)he wants to search something. Do you have any idea on how to achieve that ? 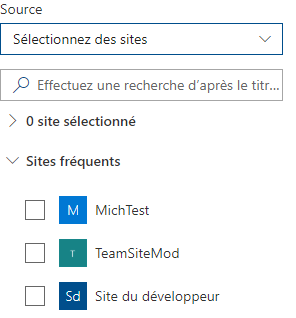 Because I can’t find anything on how to retrieve all sites on a tenant, neither all sites attached to a specific hub. My webhost lets me set up site aliases (for example, example.111.222.333.444.sth.co) as urls to access websites i’m developing. Without me doing anything, google seems to index sites/pages on here. What’s the cleanest way to stop Google seeing anything that’s under development?